Don't wait for your sharpening belts to wear out. 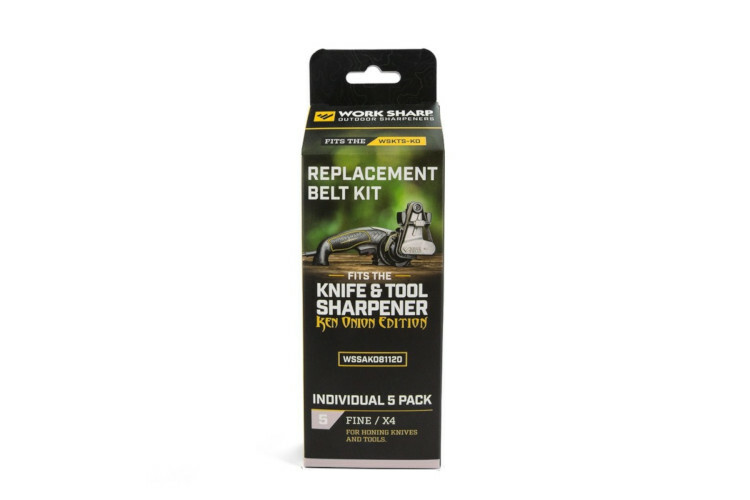 Our belt replacement kits will keep your sharpener doing what it does best, sharpening your knives, scissors, axes, lawn mower blades and more. The fine belt kit contains five X4 fine belts. Should you need an assortment, please order item number WSSAKO81113, Assorted Belt Kit.